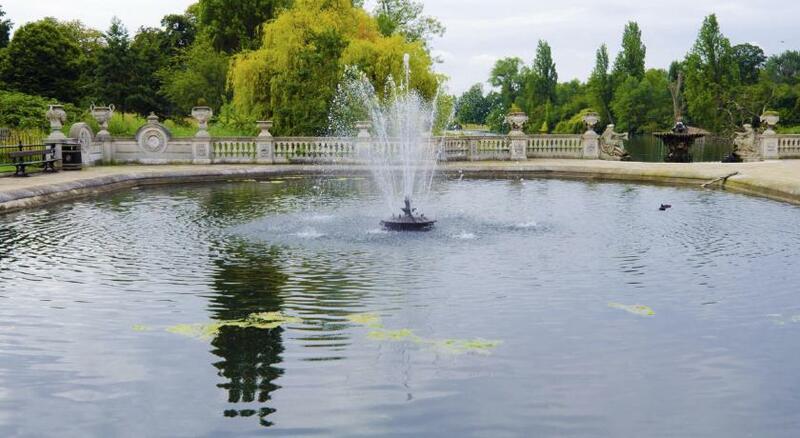 Excellent location, close to hide park and good restaurants. The location is great, and I would say for the price you really get a clean place comparing to other hotels. defiantly a place I would recommend. have been going back to stay at this hotel quite a few times. The location near Paddington station, and price made it a good starting point for our activities in london. 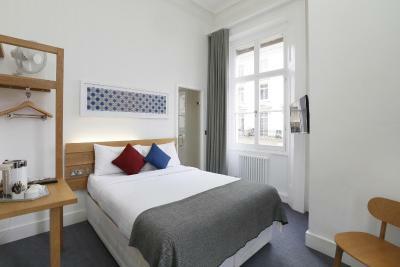 Close to Paddington Station and museums, and the staff was awesome! 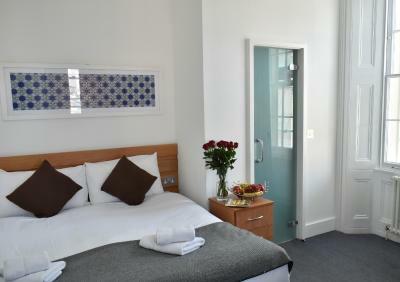 Clean rooms, helpful staff, value of money, good breakfast, location. Location only. Everything else was not what was stated at all. 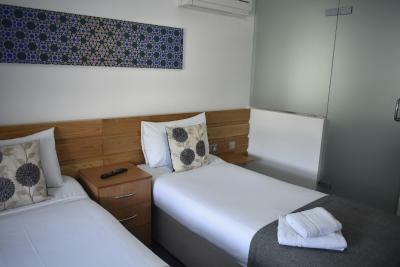 very clean and the beds are comfortable. the housekeeper did a very good job when i was there with cleaning the toilet. friendly staffs. 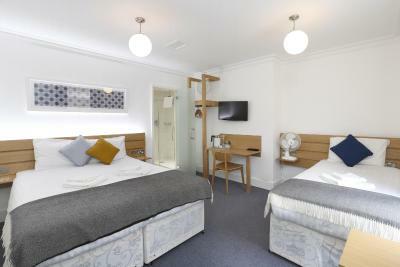 Prince William Hotel This rating is a reflection of how the property compares to the industry standard when it comes to price, facilities and services available. It's based on a self-evaluation by the property. Use this rating to help choose your stay! 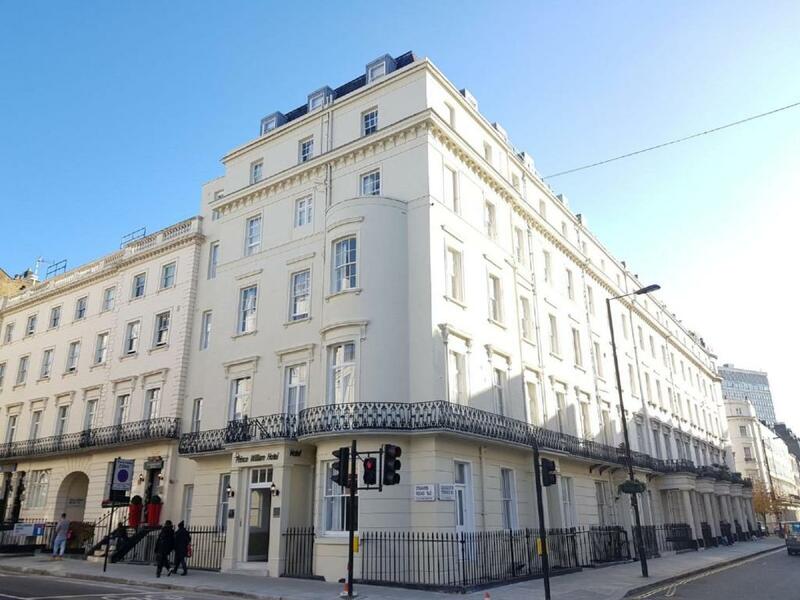 Less than 10 minutes’ walk from Hyde Park and 2 miles from Buckingham Palace, the Prince William Hotel is centrally located in Paddington and only 7 minutes' walk from the station. 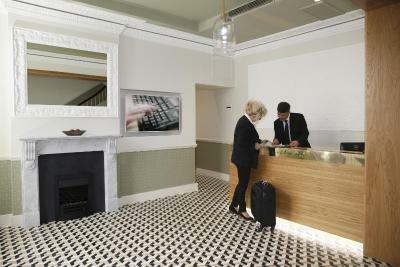 There is free WiFi throughout the hotel, and a 24-hour reception. 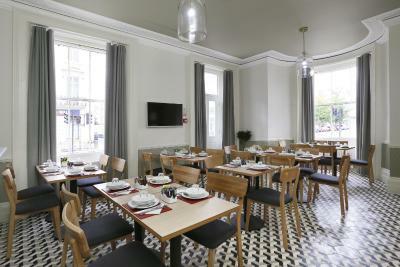 Guests at the Prince William Hotel can enjoy breakfast each morning in the dining room. 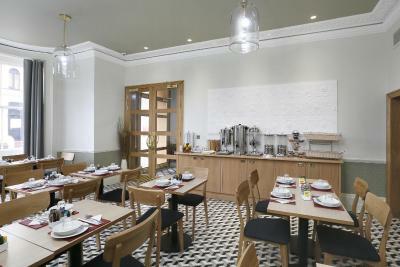 A continental breakfast of croissants and pastries, toast and bread rolls, fruit, yogurts, musli and cornflakes, and cheese is available at a supplement. 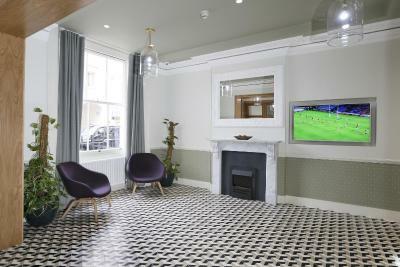 The hotel is located in an 18th-century corner period-listed building that combines Victorian and modern design. 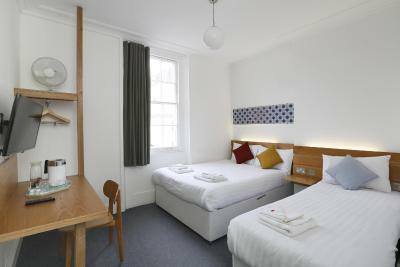 Each room contains modern features, tea and coffee making facilities and a TV. 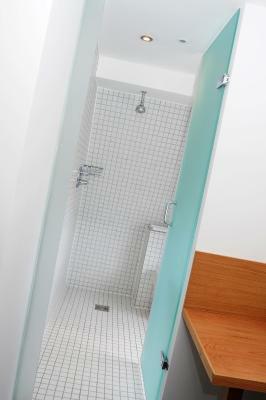 Every room also comes with its own private bathroom. 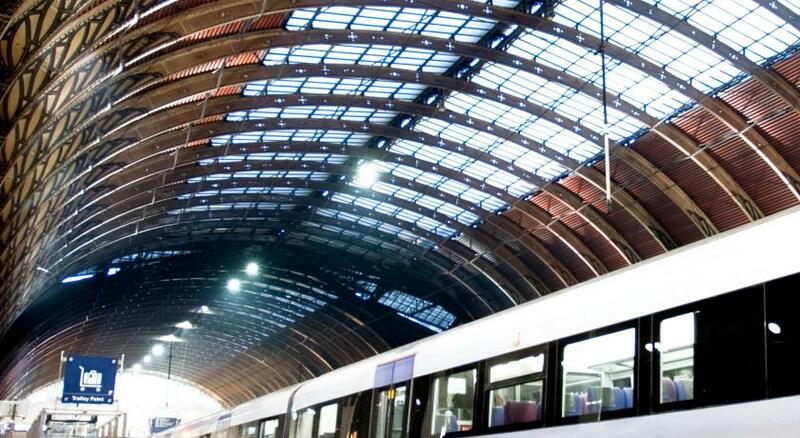 London’s major attractions are all easy to reach on the Tube. 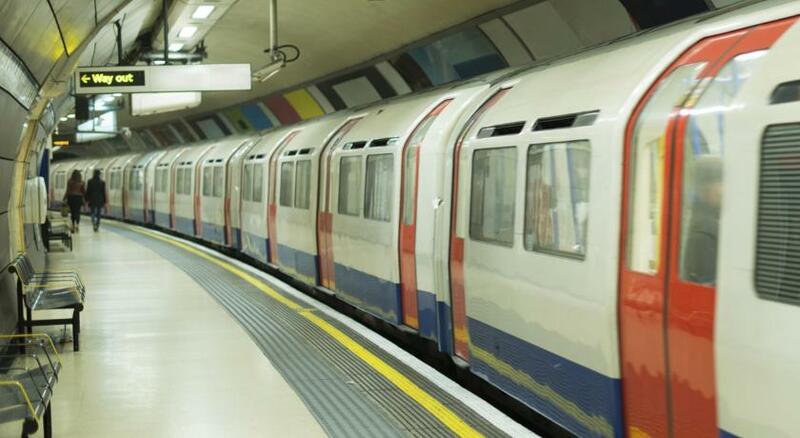 Lancaster Gate Underground Station is just 4 minutes' walk. 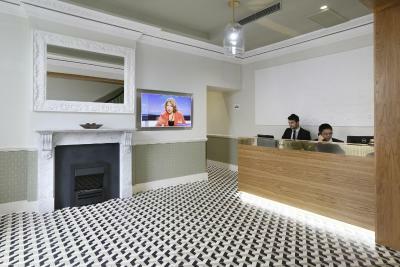 The Prince William is close to Marble Arch, Oxford Street, and Kensington. 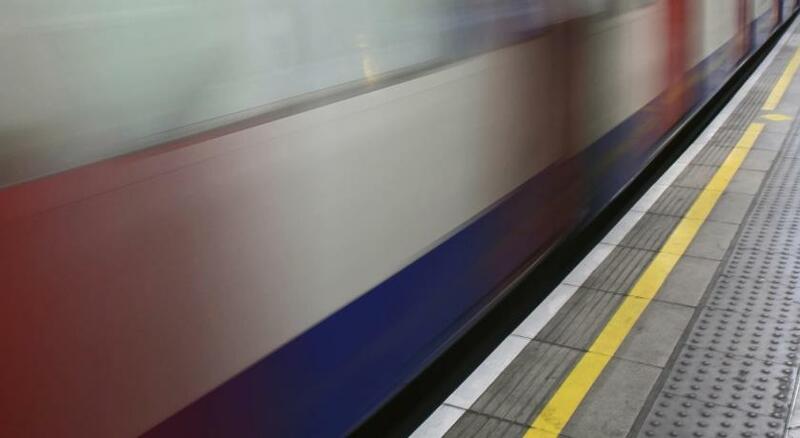 Madame Tussauds is 1.2 miles away and Portobello Market is 1.4 miles away. Westfield Shopping Center is 2.1 miles away. 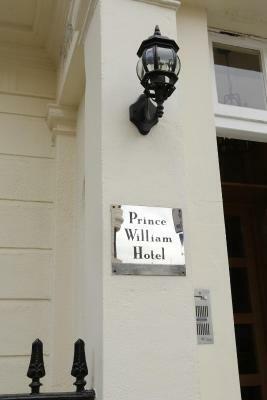 When would you like to stay at Prince William Hotel? 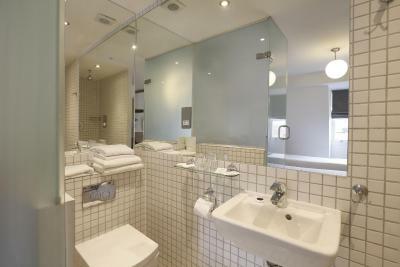 The bright and contrasting colors enhances the contemporary feel of the room which is equipped with 2 single beds, a flat-screen TV, tea and coffee making facilities, toiletries, a hairdryer on request and a private bathroom. All rooms include free WiFi. 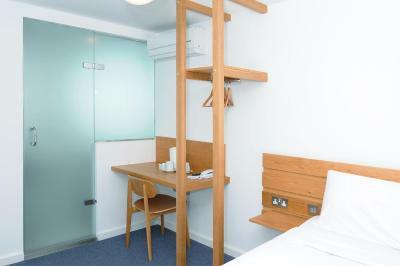 The bright and contrasting colors enhances the contemporary feel of the room which is equipped with a single bed, a flat-screen TV, tea and coffee making facilities, toiletries, a hairdryer on request and a private bathroom. 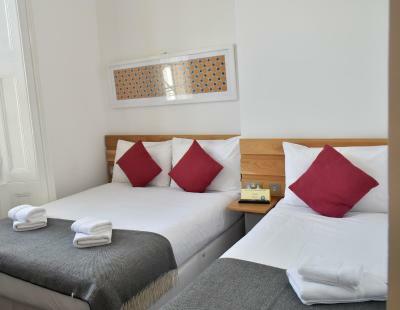 The bright and contrasting colors enhances the contemporary feel of the room which is equipped with a double bed, a flat-screen TV, tea and coffee making facilities, toiletries, a hairdryer on request and a private bathroom. 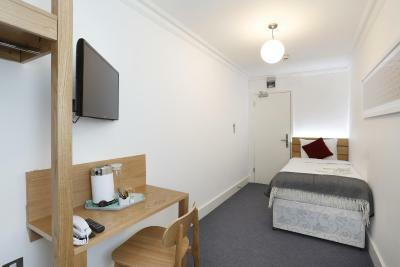 All rooms include free WiFi. 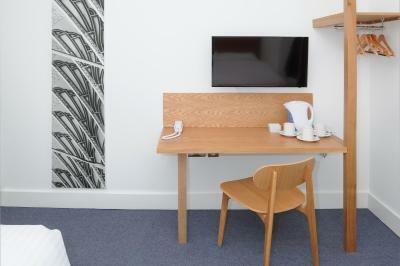 The bright and contrasting colors enhances the contemporary feel of the room which is equipped with a flat-screen TV, tea and coffee making facilities, toiletries, a hairdryer on request and a private bathroom. 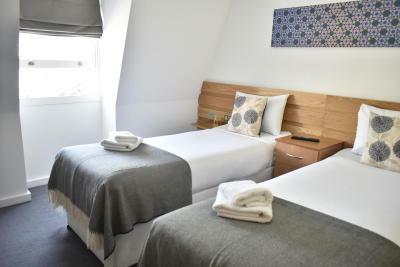 The room is configured with a double and a single bed, or 3 singles on request and subject to availability. 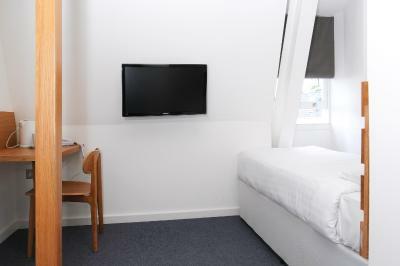 All rooms include free WiFi. 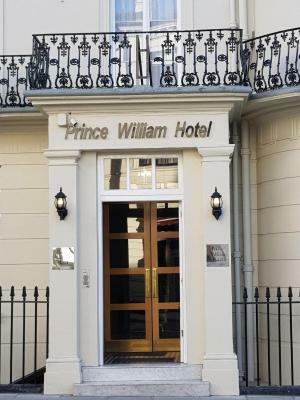 The Prince William hotel is situated in a corner period listed building in Paddington, dating back to the 18th century. 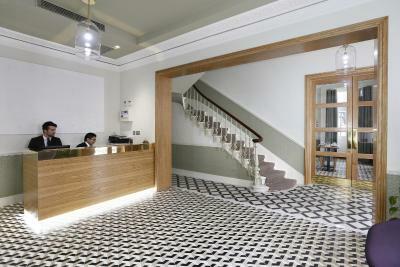 The interior of the hotel is a blend of old Victorian atmosphere with the modern style. 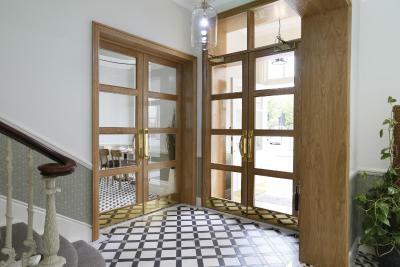 House Rules Prince William Hotel takes special requests – add in the next step! Prince William Hotel accepts these cards and reserves the right to temporarily hold an amount prior to arrival. Beds were really bad. Not hotel beds. My room G4 was on street level, next door was the room where they fixed for breakfast and I was disturbed with noise and voices. Also staff used the firestair next to my window to smoke and that was really disturbing. Horrible staff, regret to book. Breakfast could be better ...but all right. I booked a double room and it was way too small. Staff were not willing to assist or help with anything...although I had a request for rooms without carpet the hotel accepted the booking answering me that my request was granted only to discover when I arrived that they were no such rooms (all with carpet floors) ..and the errors kept going ..next thing my credit card was already charged although in the process of the booking showed me "pay later" so instead of me paying cash as I wished I ended up with another credit card load.. next ...I was told that my room was on the basement which wasn't going to happen so the first receptionist moved me in a tiny room with a double bed placed in such way that guest can't have access into the bathroom and toilet!!! Blocking the access from one side of the room to the other (people have to jump over the bead literally) blocking the door to the toilet as well....and had to crowl avoid bumping on the TV set that was also placed on the wall on the height of my chest and I am just 1,65cm unbelievable interior design.. next thing I asked another receptionist if I was to extend my stay booking online another 2 nights if I could stay in the same room ? Answer was NO he suggested I had to book a "double room" more expensive claiming this room that was smaller than a kennel was a "double" room that it was offered to me because there was some problem with their singles...what a pitty when hotels are runned by people without the right skills...checking online the price difference was 7£ /night for a real double ..their only option was that if I needed more nights I had to pack again and move to another room!!!! however the "staff" chose to leave a customer who overlooked all this mess with a total dissatisfaction and a definite idea of never booking this hotel ever again! Extremely convenient location and good shops all around! The staff is not responsibe. O had to ask them to fix one thing for 4 days in a row, twice a day and they just keep blaming each other and no one takes actuon. Windows can't be opened fully and have to be kept open with other objects like towels (maybe this was room specific to 35 though). 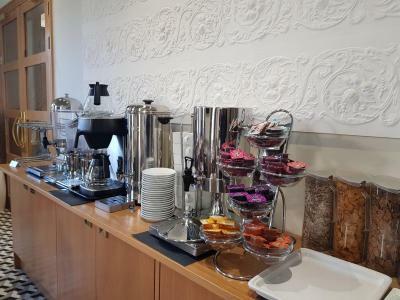 Very nice staff, luggage can be stored before check in and after the checkout, breakfast variety is small but more than sufficient. The room is very small, the carpets on the floor are not clean and as I forgot my slippers home, it was not a pleasure to walk on bear foots. And also the isolation of the windows was very poor, I felt like I was sleeping on the street. 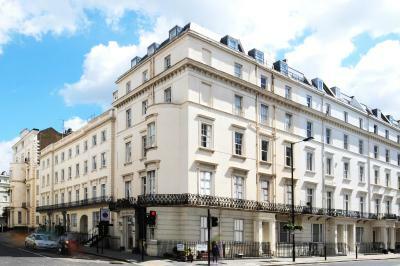 The hotel is located very close to Paddington station, and Bayswater road. The personnel was extremely polite and very helpful. The cleaning of the room is made every day and they provide shampoo and soap. Breakfast not various but enough for the morning. everything. it was perfect. very central and safe. will book again.